While the majority of the US may still be trudging through one of the coldest, snowiest winters in recent memory, spring really is on the horizon, and today’s featured project is a wonderful reminder of that fact! This perfectly springy Fairy Tale Dress was sewn in a lovely floral print with mustard accents by Olivia Jane Handcrafted. Meredith has a bright and beautiful blog and often sews with Oliver + S patterns, so when you go visit, be sure to stay a while to see what else she’s been making! 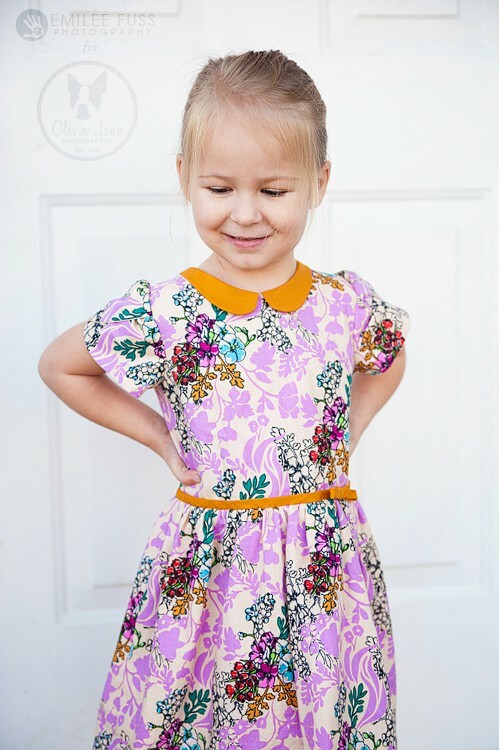 You can read more about the fabrics used and see more adorable photos of this dress in Meredith’s post at Olivia Jane Handcrafted.